to Kick-Off the Holiday Weekend! 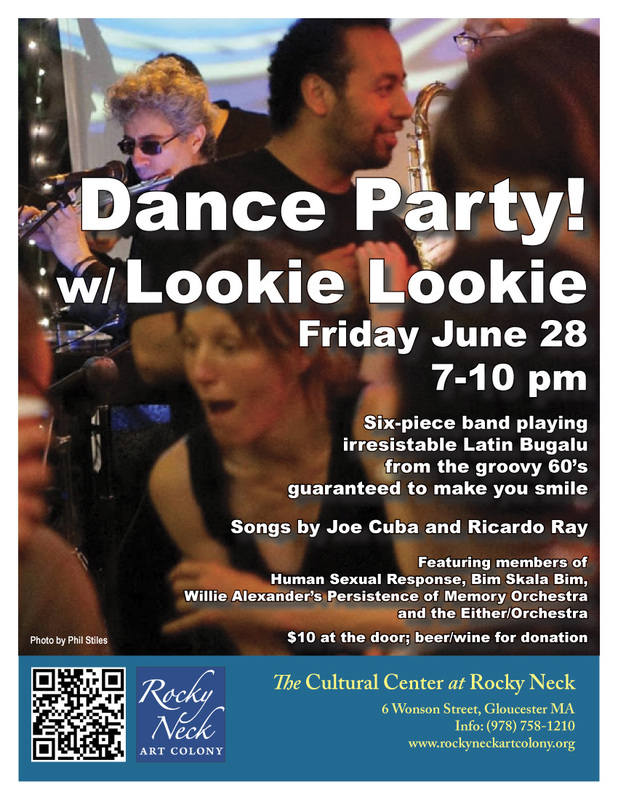 DANCE: Music by Local Rising Stars MARTIN and KELLY Best Dance Floor on Boston’s North Shore! The incredibly talented duo of Jilly Martin and Ryan Brooks Kelly have become the next must-see act from New England to Nashville. On Sunday, they brought the house down opening for The Oak Ridge Boys at the Cabot. And they’ve been featured as support acts for Brad Paisley, The Band Perry, Keith Urban, Eric Church, Miranda Lambert, Justin Moore and Sarah Evans. Posted on May 26, 2014 May 26, 2014 by E.J. 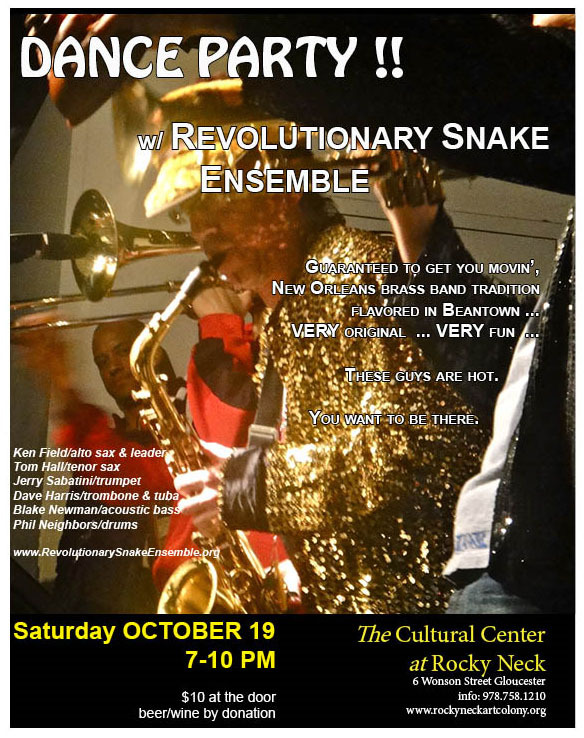 Revolutionary Snake Ensemble – Hot! Posted on October 16, 2013 October 7, 2013 by E.J. 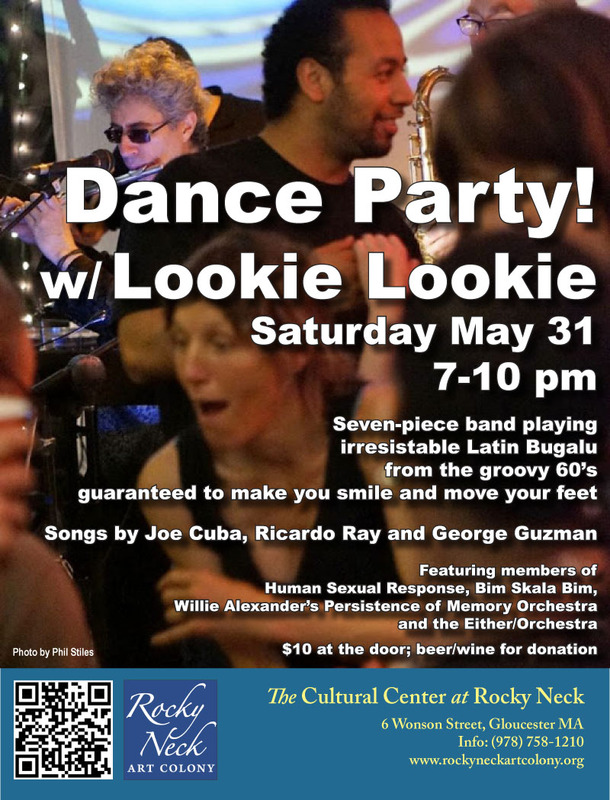 Don’t forget – this Saturday – New Orleans style dance party at the Rocky Neck Cultural Center on Saturday, October 19th 7-10:00pm. Take a listen at their website: http://www.revolutionarysnakeensemble.org. 15Winter hibernation time isn’t here yet and there’s still plenty of fun to be had on Rocky Neck. Posted on September 10, 2013 September 10, 2013 by E.J. Boubacar Diabate is a Griot singer, guitarist, songwriter and storyteller from Mali. 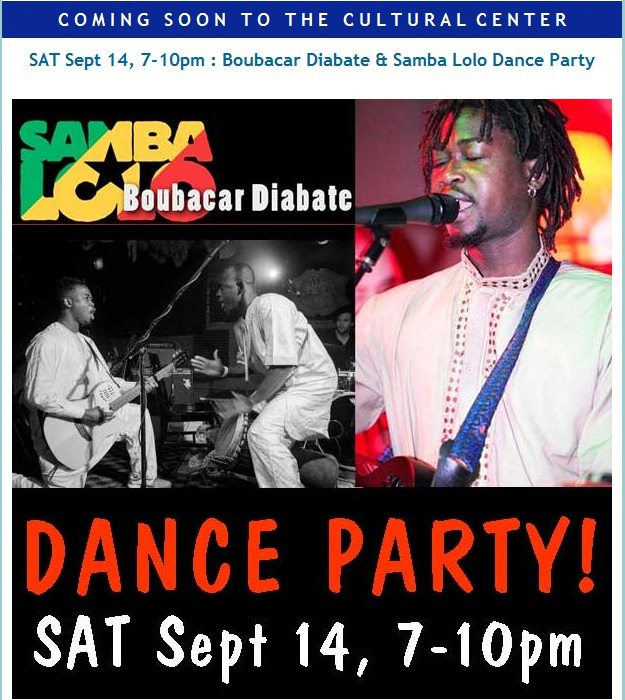 ‘Bouba’ creates his own style of contemporary music by combining traditional rhythms with modern influences including Reggae, Blues, Bluegrass, and Jazz. Bouba sings of a common shared experience of love, life and humanity, giving all an opportunity to hear the age-old West African tradition of Griot storytelling through song. Now based in Boston, Bouba was born in Bamako, Mali-West Africa. He was raised playing Djembe and Guitar while learning from the Griot elders as they passed down their ancient heritage through their music and song. In Africa, Griots pass down the oral tradition of legends, stories, and proverbs through many generations, which is essential to preserve their culture. A Griot is a teacher, poet, musician, and participant in important ceremonies such as weddings, naming initiations and installations of chiefs. Posted on June 14, 2013 June 14, 2013 by E.J. On The Wall art show at The Annie tonight! If you haven’t heard, there’s going to be a great art opening at The Annie tonight with a group of fantastic young artists from around town! Watch the video below for more details, check out the Facebook page, or just show up sometime this evening to take it all in. Doors open at 4:00!